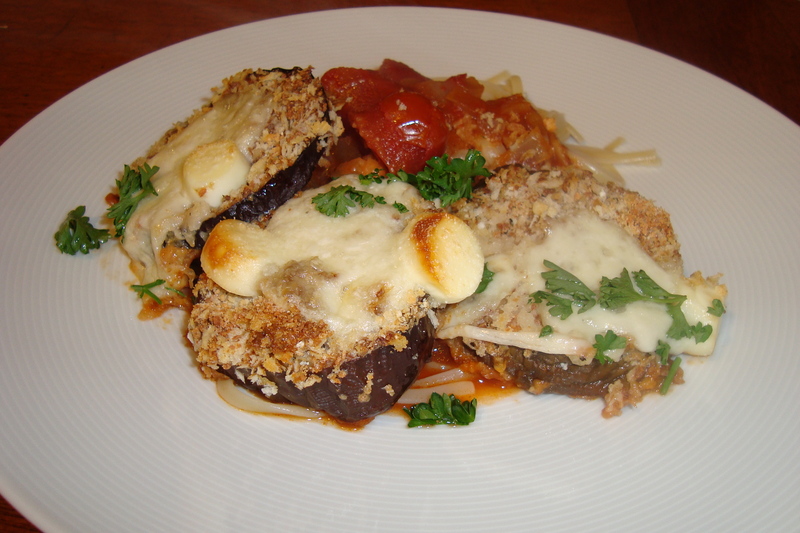 Baking eggplant parmesan is so much easier than frying it. I love that you can bake a whole sheet at once in the oven. 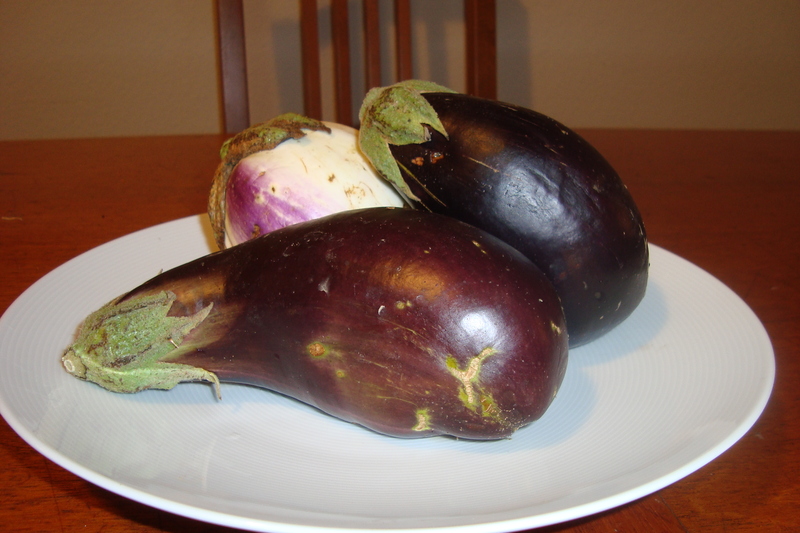 I bought these cute little eggplants at the farmers market, but one big one would be just fine. I always leave the skin on, but you can peel it if the texture bothers you. 3. Set up a little assembly line, and coat the eggplant slices first in flour, then egg, then a mixture of panko and grated parmesan/romano cheese. 4. 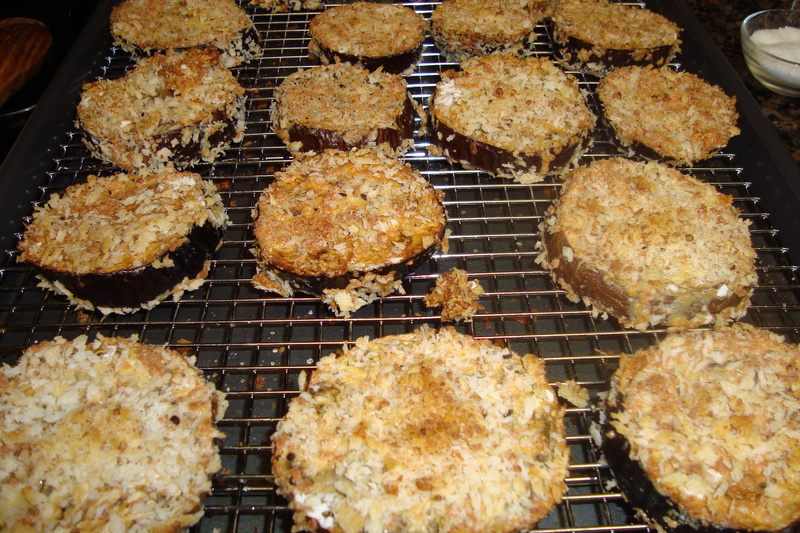 Place the eggplant onto a wire rack on a cookie sheet. 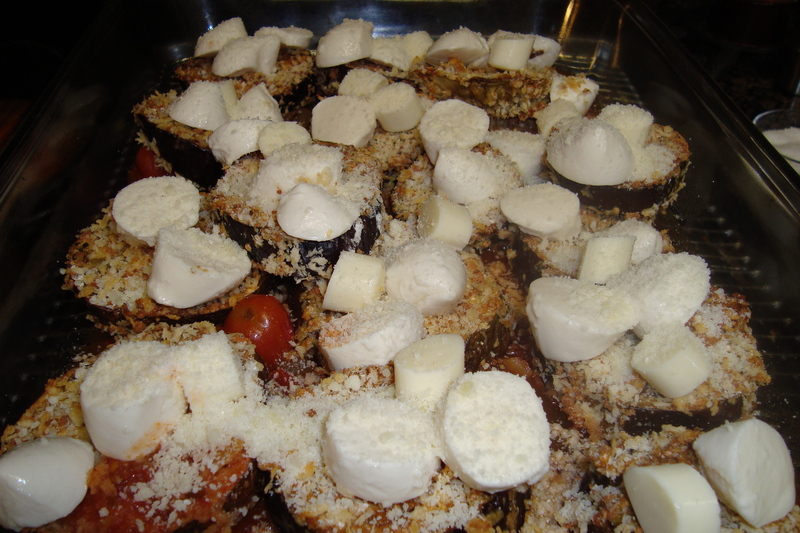 Spray the coated eggplant lightly with a little bit of olive oil or cooking spray. 5. Bake at for 40 minutes or until golden brown. 1. Heat olive oil in a pan over medium heat. Add garlic, onions, and red pepper flakes. Sautee until the onions are translucent, and season with salt and pepper. 2. Add the tomatoes, 2 cups of water, the oregano, and the sugar. Salt to taste. 3. Bring to a gentle simmer, and allow the sauce to simmer for at least 20 minutes. You can add fresh basil or parsley at this point as well. 2. I like the eggplant to stay crispy, so I only use a little bit of sauce and then serve it with extra sauce over the pasta. 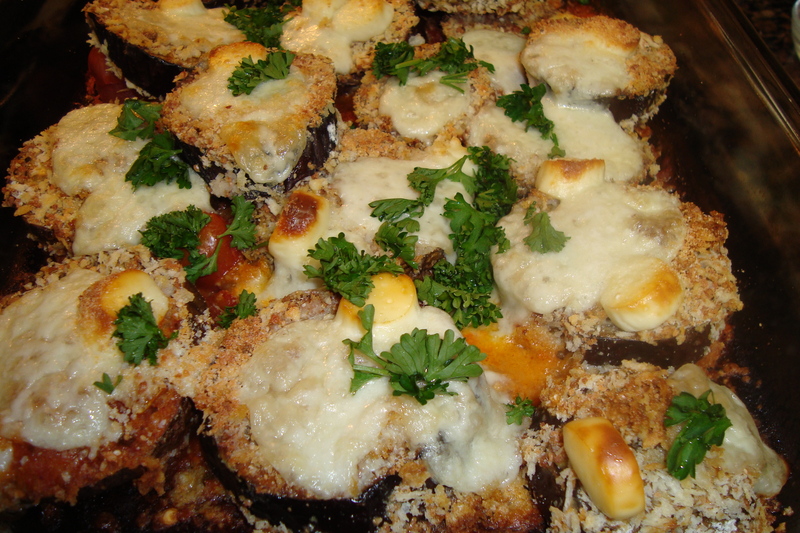 Spread a little bit of sauce in the bottom of a large casserole dish, then lay the pieces of eggplant on top of the sauce, and cover the eggplant with the mozzarella and parmesan. 3. Bake for about 15 minutes or until the cheese is bubbly and starting to brown. Serve over pasta with additional sauce.